When people think of Hawaii, they imagine beautiful white sand beaches and crystal clear waters. But it’s ironic that the island with the same name as the state does not have an abundance of beaches. This is because the Big Island is the youngest of all the Hawaiian Islands. And it’s still growing due to constant volcanic activity. As a result, the remains of volcanic lava flows still make up much of the island’s coastlines. But there are still a number of beautiful Big Island beaches. Below are just some of them. A number of Big Island beaches may be fronted by private hotel properties. Nevertheless, all beaches in the state of Hawaii are open to the public. 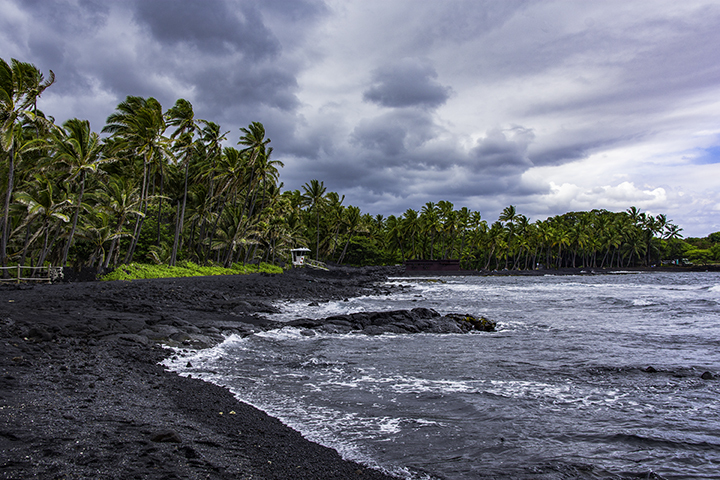 Punalu’u Black Sand Beach is one of the most famous beaches on the Big Island. You can find it just south of Hawaii Volcanoes National Park. It’s not that great a place to swim. But it’s one of the best places to see the rare honu or Hawaiian green sea turtles on the shore. This is the largest white sand beach on the Big Island. This famous beach is next to the Hapuna Beach Prince Hotel. There are ample parking, restroom and picnic facilities nearby. 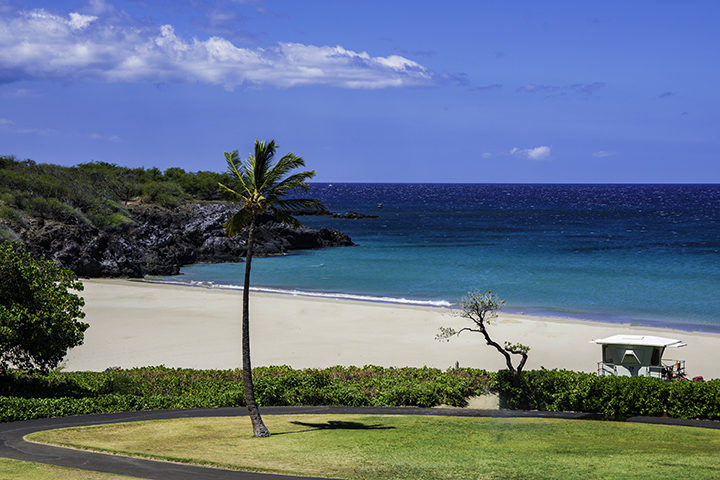 This stretch of beach on the Kohala Coast of the Big Island is next to the Waikoloa Beach Marriott. The beach is very popular among locals and tourist alike. Here, you can rent kayaks, water bikes and body boards. It’s also a good location to snorkel, scuba dive or sunbathe. There are ample parking, picnic facilities and restrooms at this beach. This is a crescent shaped beach of pure white sand fronting beautiful sand calm waters. Many feel that might be one of the best beaches in the entire state, if not in the entire United States. 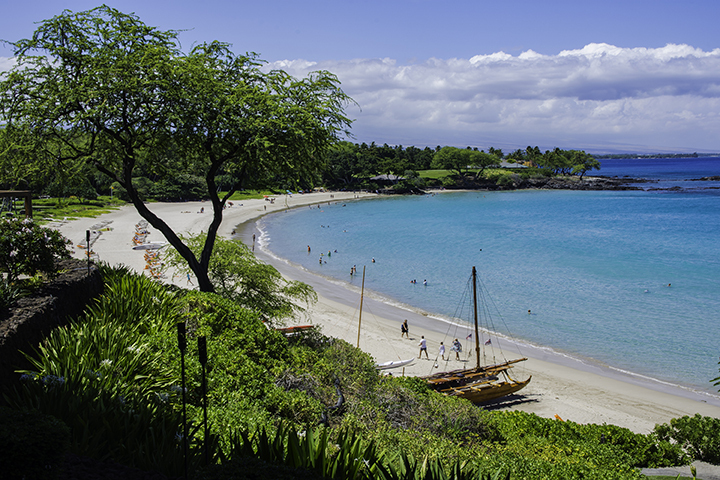 The beach stands in front of the Mauna Kea Beach Hotel. The area only has limited public parking spaces. So you’ll need to arrive early to get one of these few spaces. People know this beach as Disappearing Sands. It’s one of the few white sand beaches in the Kona area of the Big Island. This popular beach has gotten its name because its sands occasionally disappears because of tidal shifts or strong surf. But the sands always return. This place is not really a beach. But it’s still a good place to swim in its small, shallow sand-bottomed tidal pool. You can find it near the Hilo Airport. It’s a favorite among locals and one the safest swimming areas along the coastline. It also comes with great views of Hilo Bay.